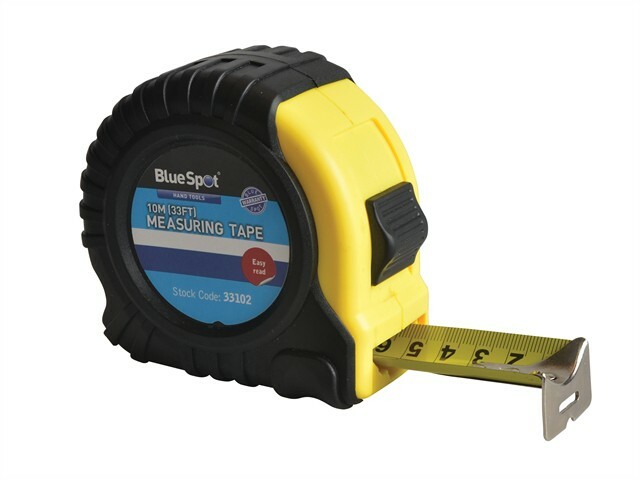 The BlueSpot Broad Buddy Pocket Tape has an extra wide steel blade with easy-to-read metric and imperial graduations. With a rubberised, impact resistant case for increased comfort. Its rubber casing improves strength and durability, and it has a strong belt clip to keep it conveniently to hand. A powerful lock holds the blade in position.